RCD Group of Companies has gone a long way since its inception on Agust 16, 1987. From a mere one-table room in Guadalupe Commercial Center, RCD Group has grown into a thriving business involved in real estate, land development, construction and brokerage. 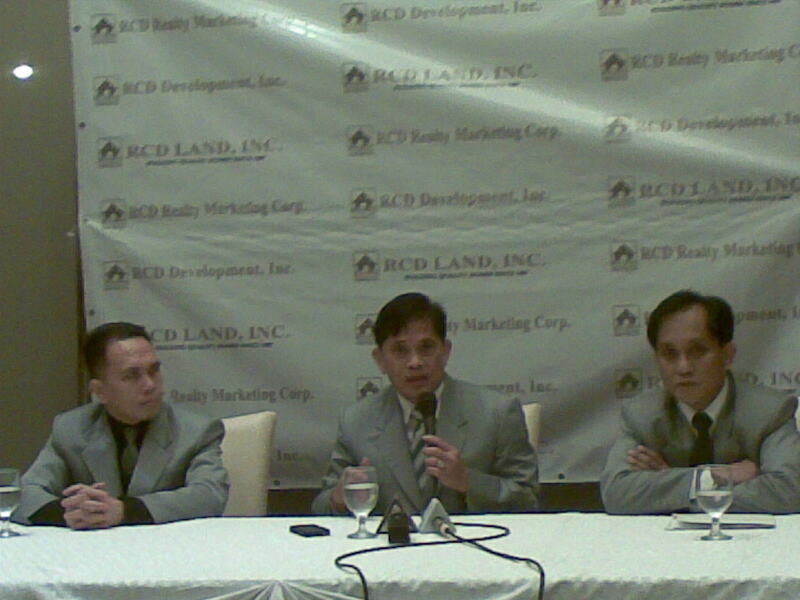 RCD Realty Marketing Corporation has sold over 15 billion worth of real estate in the last 25 years. 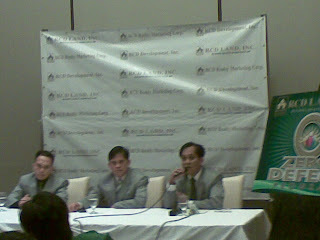 More than 2,000 house units had been built by RCD Land, Inc. In a press conference following the RCD's 25th Anniversary celebration at the Bellevue Hotel last August 18, its Chairman of the Board, Rolando Delantar, announced RCD's "Zero Defect Program", which aims to eliminate costly repairs and ensure total satisfaction on the part of homebuyers. 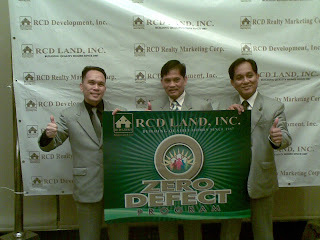 Together with RCD Realty Marketing Corporation's President Arvin Francisco and Vice President Arch. 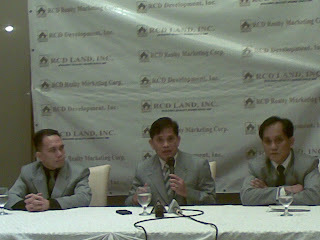 Rey de Leon, they discussed RCD's invaluable commitment to deliver value for housing investments. The RCD Group promises to be directly involved in its "Zero Defect Program" beginning from planning stage, and spanning across engineering, production, quality control, marketing, account management and up to customer service. To date, RCD LAND, INC. has six ongoing projects. These are: RCD Royale Homes in Silang, Metro Tagaytay; Winter Breeze Homes in General Trias, Cavite; RCD Villas de Bacoor in Bacoor, Cavite; RCD Homes East in Tanay, Rizal; RCD BF Executive Townhomes in the City of Paranaque; and RCD Pasay Townhomes in Pasay City. The RCD Group will soon be launching seven more subdivisions in various locations in the next two years. This is a prelude to their goal to become the next multibillion company in terms of net worth in the following decade.